Installs, repairs, modifies, and opens a variety of locking mechanisms found on doors, desks, compartments, mobile equipment, safes, and vaults. Examines locking mechanism and installs new unit or disassembles unit and replaces worn tumblers, springs, and other parts or repairs them by filing, drilling, chiseling and grinding. Opens door locks by moving lock-pick in cylinder or opens safe locks by listening to lock sounds or by drilling. Makes new or duplicate keys, using key cutting machine. Changes combination by inserting new or repaired tumblers into lock. Establishes keying systems for buildings. ABA SERVICES Inc. is an equal opportunity employer. We are committed to providing equal opportunity to all applicants and employees in full compliance with all applicable state and federal laws prohibiting discrimination on the basis of race, color, age, gender, religion, national origin, disability, protected veteran status, or any other class protected by applicable state or federal law. Must provide own tools of the trade. Must comply with all California Occupational Safety and Health Administration (Cal/OSHA) regulations and utilize approved safety equipment and personal protective gear including, but not limited to, respirators, eye and hearing protective devices (HPD), if and when required. Must be available to respond to emergencies 24 hours a day, 7 days a week. May work different locations, shifts and weekends. Experience: 1+ years of professional Information Technology/Security experience. Certification/Licensure Certified Registered Locksmith (CRL) by Associated Locksmiths of America. Locksmith License from the Bureau of Security and Investigative Services. Installs, repairs, rebuilds, and services mechanical or electrical locking devices of locks and lock hardware, using hand tools and special equipment: Disassembles locks, such as padlocks, safe locks, and door locks, and repairs or replaces worn tumblers, springs, and other parts. Adjusts, maintains, repairs, and replaces conventional door locks, padlocks, tumbler locks, and various other lock hardware such as panic bars, door checks, latches, catches, fasteners, and door closers. Establishes and maintains master key systems. Operates machine tools such as key-cutting machine, drill press, grinder, hand drill, electric drill, and electrical hammer to duplicate keys and change locks. Moves lock-pick in cylinder to open door locks without keys (Opens locks which cannot be opened by ordinary means). Selects key blanks, cuts keys, and fits keys to locks. Issues keys and locks and keeps related records. 1+ years of related experience with the DoD. 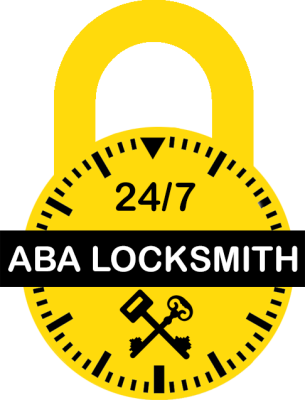 Methods, materials, and safety procedures of the locksmith trade. Install, maintain, and repair locks. Travel to off-site locations within a reasonable timeframe. Ability to interpret, implement, and maintain pre-defined master key systems. Ability to safely operate a variety of hand tools and power equipment. Ability to install, troubleshoot, and repair both mechanical locking and electronic access control devices. Possession of a valid California driver's license is a requirement for this job. Must maintain all required certification and/or license status. Must be Insured & Bondable. ABA Services Inc. are looking for a reliable Dispatcher to act as a communication point for emergency and non-emergency calls. You will receive requests, transmit messages and track field technicians. Tech-savvy with knowledge of relevant methods (CAD). Fast typing with experience in data entry. Knowledge of procedures and guideline for emergency situations. Proficient in English and Spanish (oral and written). Active listener with excellent communication skills. Sound judgement and critical thinking. May work different shifts and weekends. Proven experience as a Locksmith Dispatcher for at least one year. Experience as a Roadside Assistance Dispatcher. Address problems and requests by transmitting information or providing solutions. Receive and dispatch orders for Locksmith & Roadside Assistance Services. Prioritize calls according to urgency and importance. Use radio, phone or computer to send crews, vehicles or other field units to appropriate locations. Monitor the route and status of field units to coordinate and prioritize their schedule. Provide field units with information about orders, traffic, obstacles and requirements. Enter data in computer system and maintain logs and records of calls, activities and other information.